Our goal is to help our clients become more competitive. Our experience and knowledge is a central part of our offer. But also modern machinery, a high degree of service and quality in every detail - from materials to the finished solution. You can read more below. We are turning our own and our clients' ideas into real products. Our R&D department work ourselves or with our clients to develop secure and user-friendly products and design solutions. All documents are designed in Solid Works. Read more about our design work. 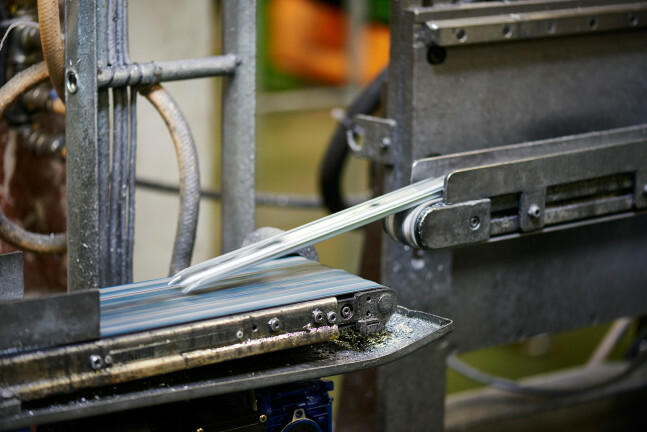 We punch and profile rolls from simple 90 degree bends to more advanced profiles in thicknesses from 0.5 mm to 1.5 mm. The details vary in length from 175 mm to 3,000 mm. 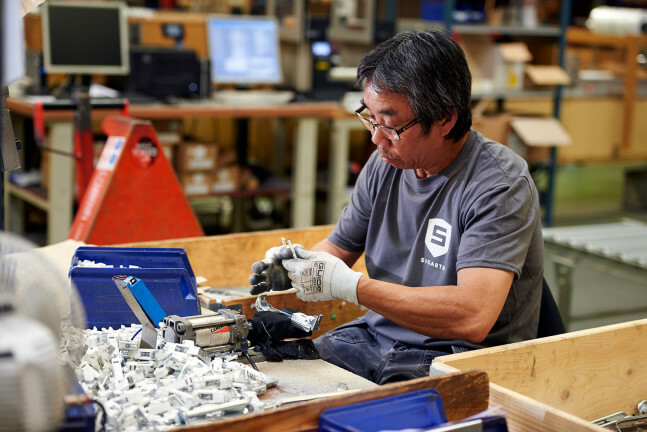 Our machinery department operates manual punches between 16 and 300 tonnes. We also have a hydraulic press for advanced bends and possibilities for deep drawing. Our machinery can create automatic punches in materials from 0.6 to 6.0 mm in thickness, in widths of up to 800 mm. 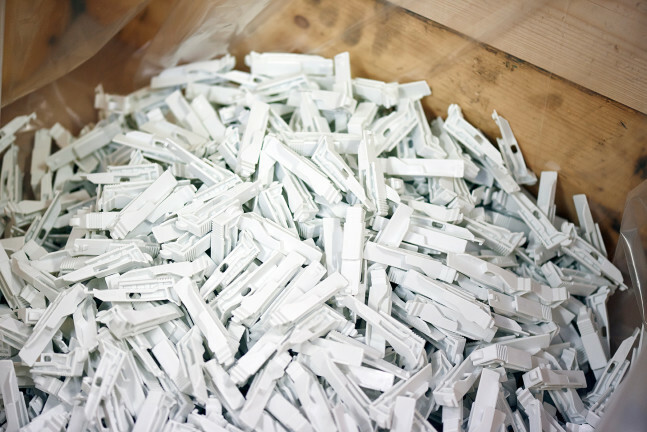 Our plastics department consists of four machines of 50-180 tons with up to 240g shot weight. 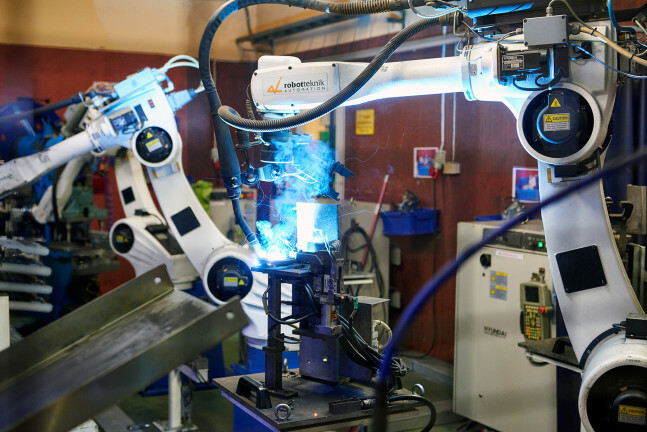 We can offer our clients everything from simple spot welding and projection welding to advanced MIG/MAG welding in a cell consisting of three robots and presses that do everything from punching and threading to welding. In our Polish factory, we have an automated packaging line for accessory bags. 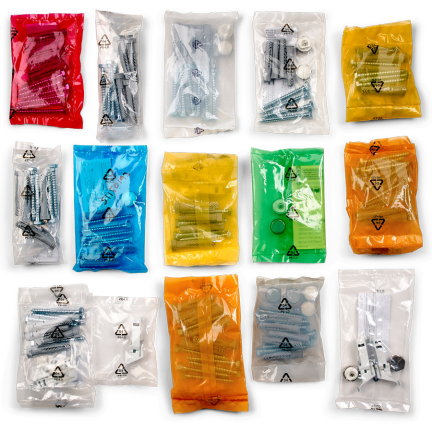 Here we pack screws, plugs, fitting instructions and other accessories of the modern equipment. All to satisfy our clients with a complete end product. 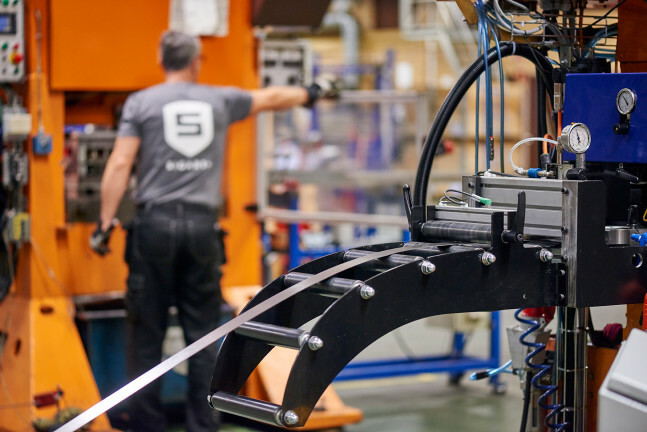 In our factories in Hillerstorp and Nowy Tommys'l (Poland), we have a long standing and extensive experience in installing, wrapping and packaging details. We offer packaging in both carton and pallet frames. All in accordance with client requirements.